Faa.st, an instant crypto exchange network app from Bitaccess, has announced the launch of a new market maker program. By running a market maker node, users will have the opportunity to earn BTC without having to invest in highly specialized equipment or spend a bundle on electricity. The opportunity is not open to everyone, a waitlist has been opened in order to become node operator. Market makers play an essential role in both traditional asset trading and crypto trading. Without them, it would be quite difficult to be able to sell any amount of an asset at any time. Of course, there has to be an incentive to become a market maker in the first place. 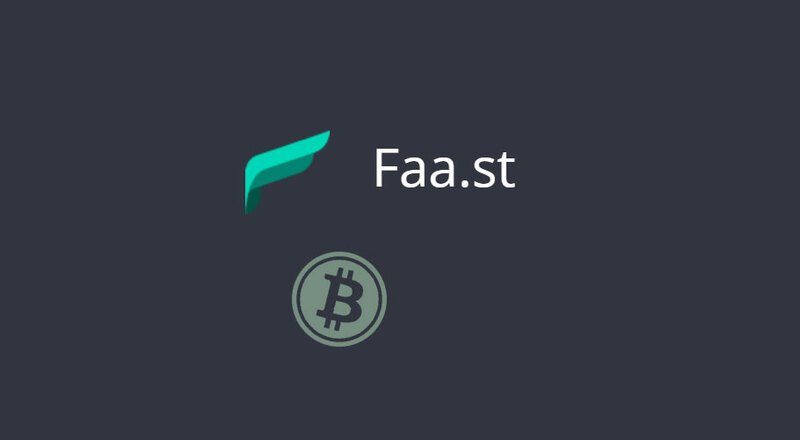 With the Faa.st Market Maker program, users will be able to run a Faa.st Market Maker node. All they will have to do is download the node software, and start earning BTC on the side by fulfilling swaps on the Faa.st Network. Market makers will be required to deposit BTC with Faa.st as collateral for security reasons. The maximum amount of value users can fulfill will be equal to the amount they have deposited at any given time. The amount of BTC users can earn will depend on how much they have available on their node, as well as the number of swaps and the time the node was online. Alice is the market taker and Bob is the market maker. Alice has 10 ETH and wants 1 BTC. The market rate is 9.9 ETH to 1 BTC. Alice submits her swap, and her request is routed through the Faa.st API to Bob. Alice’s 10 ETH is sent directly to Bob. Once the 10 ETH transaction is confirmed received, Bob’s market maker node then sends 1 BTC directly back to Alice. Bob sells the ETH for BTC on his exchange account for 1.01 BTC. The BTC is then deposited back to Bob’s node wallet — readily available for the next trade Bob needs to fulfill. Bob earned 0.01 BTC for this swap. What kind of equipment do I need to run a node? In order to get started, users just need a computer, the node software and some BTC. While users can do this using a regular computer, Faa.st recommends using a server to run a node, so it will be online 24 hours a day, allowing users the potential to earn the most BTC. How do I become a Faast Market Maker? In order to become a Faa.st Market Maker, those interested will have to fill out an application form. Once signed, up, users will be added to the waitlist. The Faa.st team will reach out to selected market makers by the end of Q2 2019. The public beta of the Market Maker Program is scheduled to go live in Q3 2019.